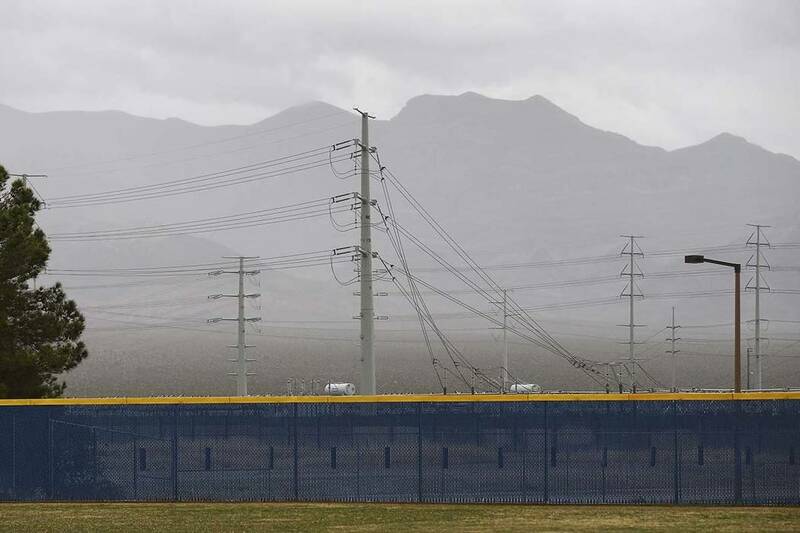 The Las Vegas Valley saw light scattered showers on Thursday, but the valley will be dry and sunny through the weekend, according to the National Weather Service. Thursday’s high was 63 degrees, the weather service said. Although the weather service’s station at McCarran International Airport didn’t record any rain, there were light sprinkles in other areas, mostly closer to the mountains, meteorologist Clay Morgan said Thursday night. The precipitation chances in the valley and mountains have since dried out for the next few days, Morgan said. About 4.1 inches of snow was reported on Mount Charleston on Thursday morning, he said. The high on Friday will be 68, followed by an expected high of 72 on Saturday, the weather service said. Breezy conditions may return again Saturday, with winds ranging from 10 to 15 mph and gusts up to 25 mph. A high of 72 is expected on Sunday. Next week, the valley is expected to warm up even more, meteorologist Alex Boothe said. A high of 78 is expected on Monday and a possible high of 79 on Tuesday, which would be the warmest day so far this year, he said.